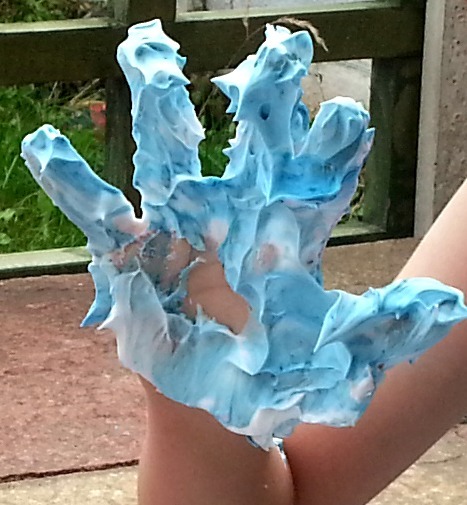 My sugar coated life...: Frugal family summer: shaving foam fun! So, I have taken on a small challenge. 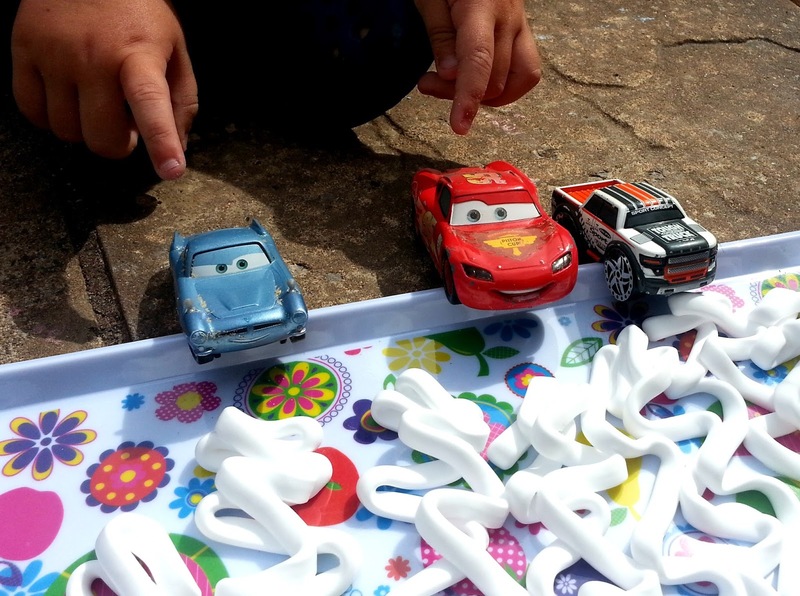 I've raided Pinterest, G+ and every parenting site I know in order to look for some frugal and fun activities I can create at home for the boys. I have a *really* small budget to work with so I'm looking for things that will entertain the boys for more than 5mins and avoid potential arguments. Most of the activities I've come across are messy play as I know they'll entertain a 3yr old and 8yr old simultaneously and I hope to feature them all as we go through the summer. 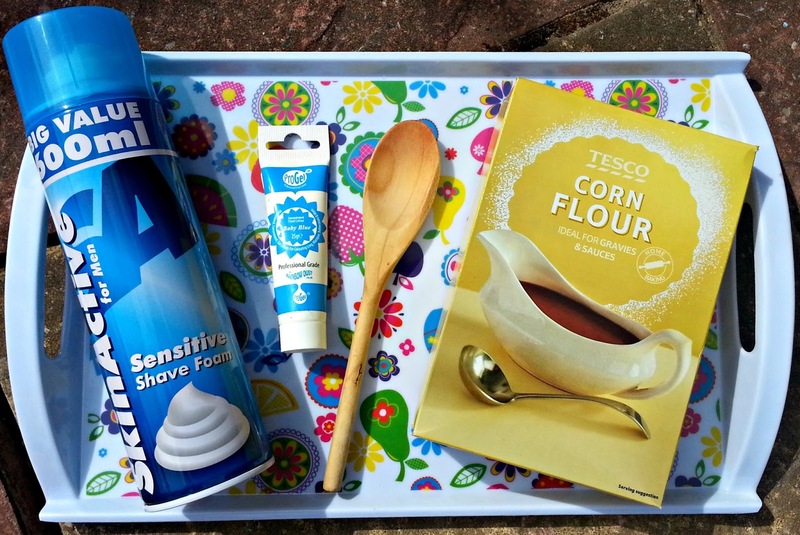 Today I am featuring a really simple one: fun with shaving foam! We bought a MASSIVE can from the 99p store and have already used it for 3 lots of playtime activities so it's proved very cost effective. I also bought the tray from the 99p shop and just added some food colouring to the foam half way through play. 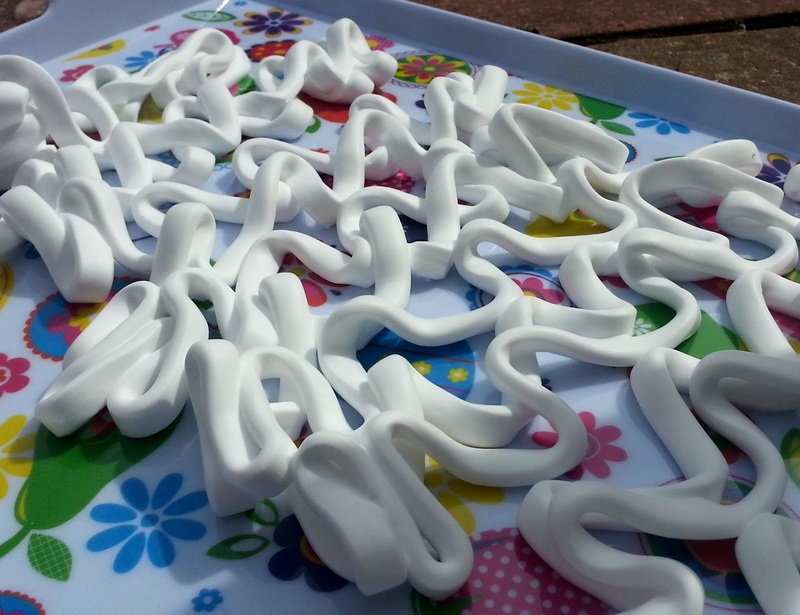 The foam washes off really easily and one tip I'd give is to have a bucket of water on standby. Milo is still a bit unsure about messy hands so wanted to rinse his hands a few times before embracing the fun factor. The boys played for about 20mins and experimented with adding their favourite toys into the mix before moving over to the water table and 'rediscovering' their covered toys. They played really well together for the duration of the activity and Milo kept shouting out descriptive words like soft, yucky, slimy, blue whilst playing! 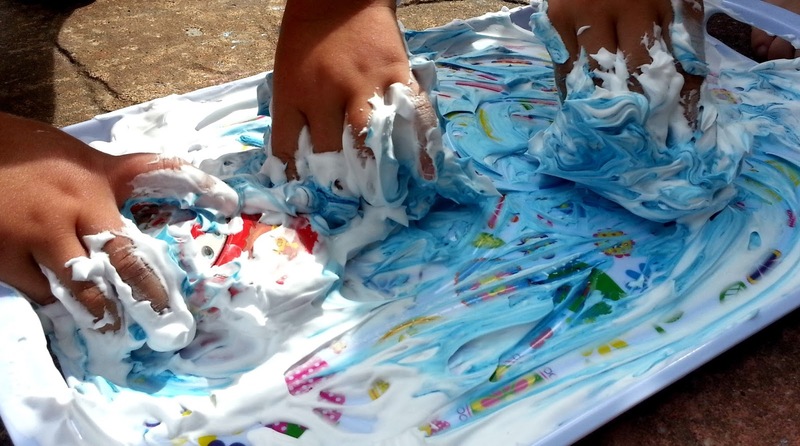 They really enjoyed it and I'd definitely recommend shaving foam as a play resource - just be careful around smaller children as it can look a bit tempting to eat...!